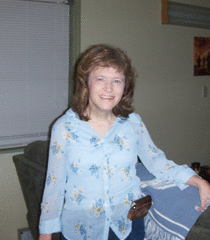 Disabled Dating 4 U :: Contact gapeanuts71 Today! I’m 42-years-old. I have Cerebral Palsy. It affects all of my movements. I walk on my own, but I don’t walk normal. I fall, sometimes. I just get up, & go again. I do have a speech problem, but most people pick up on my speech pretty quick. My CP doesn’t affect me mentally. Starting in the 3rd grade, I was in all regular classes in school. I graduated very high in my class, in ’91. I can do most things except: button, tie, drive, pour liquids, drink without a straw, write (I have always typed everything). Still, I do well at doing things. I do have some limitations, but see myself as a normal person. I want a good Christian white man. Someone who is real calm & easy going. Someone who doesn’t drink. Someone who is of the Christian faith. I don’t want any kids of my own, but would mind being with someone who already has kids. I don’t want any kids of my own, because I know I couldn’t take care of a little bitty baby. I couldn’t be the mama I would want to be. I won’t put a child through that. Once they get about 3 or 4-yrs-old, then I can take care of them. I have no problem being with somebody who already has kids. I would love them as my own. In trying to find somebody, I do have to conceder their disability. I can pretty much take care of myself, but I wouldn’t be able to take care of someone with a lot of disabilities. In the recent past, I have had several to contact me who were hard of hearing. I wouldn’t write them back. I felt bad about that, because being hard of hearing isn’t that big of a deal. But, with my speech problem, I thought it would be so hard. But, I got to thinking about one of my closest friends is hard of hearing, & he understands me. So maybe it wouldn’t be that hard. It’s my biggest wish in life to find someone that I truly love, who truly loves me, & for us to live a life together that is pleasing to the Lord.